For sealed Direct Vent fireplaces, blockage in venting can cause the fireplace to shut down. Birds, bats, mice, and other vermon are sometimes known to build nests inside/on top of fireplace terminations. Because the fireplace cannot expel the exhaust or cannot get enough oxygen, the flame will “starve” for air and eventually everything will go out (including the pilot light). This will happen within minutes of initially turning on the fireplace. Here is a video that shows the “ghosting” effect of the flames that will occur before it will go out and is a definite indicator of a venting issue. One way to verify this is to try running the fireplace for a short period of time with the glass removed or cracked open slightly. If it runs fine with the glass off or open a bit, you can defiantly determine it has an issue with the venting, most likely blockage that needs to be cleaned out. Another reason your pilot may cut out could be related to your pilot light flame. After you first turn it on, the fireplace will start to create draft as the chimney heats up. If your pilot flame is more “candle like” and less “blow torch like” you may see the draft start to affect the pilot flame as the fireplace heats up. WATCH the pilot light as the fireplace heats up. 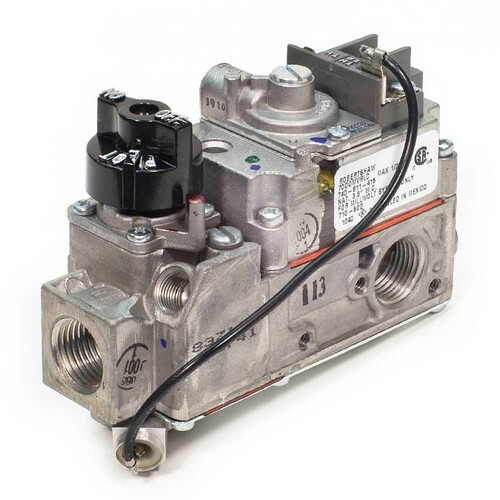 If you see the flame start to pull away from the thermocouple or thermopile sensors, these sensors will not have enough heat to keep the main control valve open, and the pilot light may go out. If it seems like this is happening, its best to replace the pilot assembly. My fireplace works well it is when I turn it down and try to just leave the pilot on at night it will turn off. What do I need to do? It sounds like your pilot light needs cleaning. 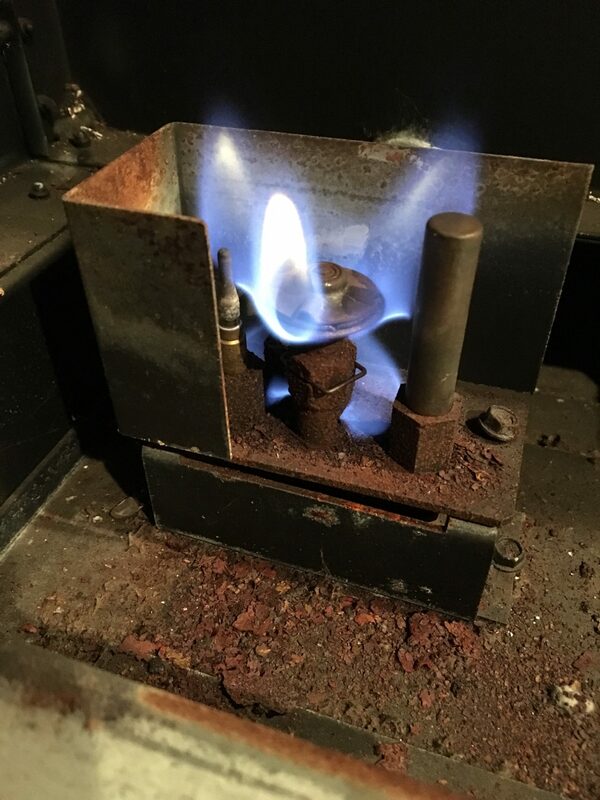 When your main burner is on it is keeping enough heat on the thermopile/ thermocouple to make enough electricity to keep the gas valve energized. once every thing cools down it drops out. Sounds like a bad thermocouple. You can check the voltage on the thermocouple by following the “my pilot will not stay lit” tutorial on the website. The main burner creates such a draft that it blows the pilot flame away from the thermocouple.., which then turns off both the pilot and the main burner. Any suggestions? Chances are, you would have to replace the pilot assembly. If there is corrosion/dirt/carbon buildup on the pilot assembly, the pilot flame would not be intense on the thermocouple and could easily be pulled away from it once a good enough draft gets established. Other things you could try include making a pilot shield out of a piece of metal to help shield it from the draft or finding out if there is a restrictor plate from the manufacturer that would restrict the draft of the fireplace. We turn the pilot light on and the fireplace starts to run on the main burner and then after about 5 mins the whole fireplace goes off, including the pilot light. Any idea why? It would depend on how the main burner flame looks before it goes out. If it turns blue and lifts up off the burner, that would indicate a venting problem. If you can see the pilot pull away from its sensors, that could mean you would need a new pilot assembly (if the pilot flame is bad), a restrictor disc (to restrict the draft because it is drafting too hard), or a pilot shield to protect the pilot from getting pulled away from its sensors. First of all, thanks for taking the time to publish this website. I have a Monessen Direct vent fireplace. With glass on, pilot stays lit as long as main burner not turned on. When burner turned on, it then ghosts out and pops off. Like you suggested, I ran it with glass off and it seems to run great. Blockage, right? But when I look up the vent, I see nothing but sunshine to the outside. I’m a little confused so any help would be greatly appreciated. Thanks. The blockage is most likely in the “intake” part of the fireplace and/or venting. You may have to get up on the roof, pull the cap off, and look down the outer wall of the chimney pipe (this is the intake part). Check for birds nests/bee nests/ect. When that supply dries up, it is possible s able to order replacement mercury flame switches from eRepco in Texas. They rebuild the switches and recycle the mercury. It appears that these switches were banned sometime in 2007 for environmental reasons. I still can’t figure out why my flame switch works initially and then the sawitch contacts drop out 4-5 minutes after the fireplace is on. I have taken it apart and it is quite simple. The mercury vapourizes due to the heat, pushes on a diaphragm that closes a set of contacts. When I connect my continuity tester to the switch, the contacts don’t seem to drop out. I still have a little more testing to do. I will pick up the flame switch on next trip to the USA, so I am not out of the woods yet. Will post back when I get it working. THANKS! This above post with its GREAT answers would have saved me $600 IF I had seen it first. Instead I had a stove company, as well as the fireplace installer company look at my troubles, and they did not notice anything wrong with the flames, did not spot the “ghosting” (venting issues) nor did they run it with the glass off to verify venting issues. They jumped immediately to the costliest fix, which was total replacement of gas valve, ignitor, thermocouple, thermopile etc. Soooo, after paying to have that replaced and still having the same trouble, the one who installed it then observed and pointed out my flame “ghosting”. He discussed chimney venting issues then, and left scratching his head, with me having no heat….after some time and one call back without further solution here is what fixed my trouble. I visited Home depot and purchased a $13 drain cleaning snake (smallest I could buy). It allowed me to run 15 ft of flexible coil into my exhaust vent to see if anything in there could be obstructing the exhaust. VIOLA!! Problem solved. I generally turn off my pilot light in summer, and I now believe that this allowed an insect (spider? bee perhaps?) to think to build something inside of my exhaust vent. It did not take much to slow up the exhaust enough to shut down my flames, and the clean-out was a 5 minute fix from the direct vent outside my wall. This sounds like a case of blockage in the pilot tube/pilot assembly. After running for a while the gas forces debris into the pilot orifice and creates blockage which causes the pilot flame to change. You could take the pilot tube off the pilot assembly and main control valve and blow out/clean out the pilot tube an pilot assembly, but it may be easier just to replace the pilot assembly itself. Thanks for the reply. I had tried cleaning it with a pipe cleaner before and it didn’t do the trick. About a week after I posted this I used a straw and blew in the small holes at the base of the pilot and that did the trick. Been running like a charm since. Thanks for taking the time to reply.